Listening to the new drake album this morning, trying to get myself pumped up for the day. haha. Anyone else do this? Music can totally change my mood and get me going. The other day, we were driving down the road trying to get Kai to sleep when I saw these huge aloe plants. I yelled to Chris "Pull over!" and we jumped out and shot this outfit really quick. Dresses have been my saving grace right now with this hot and humid weather here in FL. 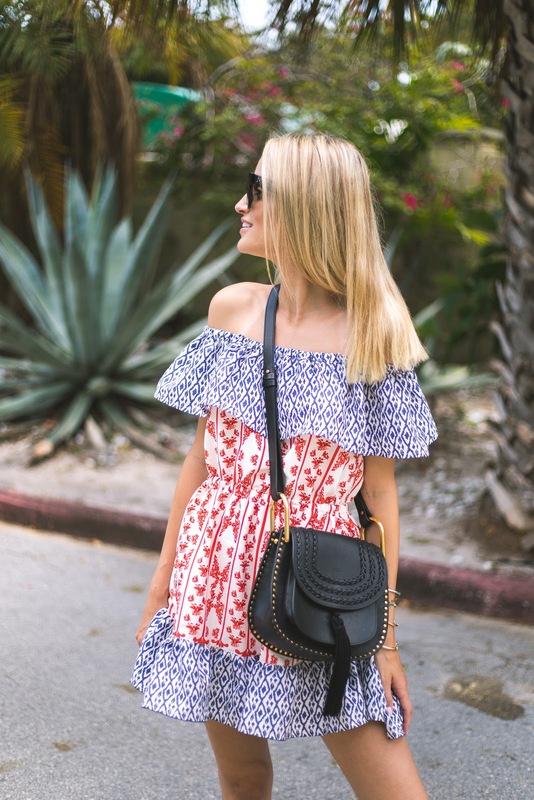 I love the mixed prints and the colors work well together - how cute for 4th of July? !